*You have a gift that is priceless! Are you ready for this? Yes, it’s your brain. Your super bio-computer that is responsible for carrying out the infinite variety of complex and sophisticated tasksquietly and seamlessly. Even as you read this your brain is operating at the beta brainwave frequency. However, to beopen and receptive to the answers, solutions, people or whatever else you are seeking,functioning at the Alpha level(click here for more information on the Alpha dimension) is optimal. This is where attuning yourself to the benefits of mindfulness and meditation can transform your life. Did you know that scientific research and studies have proven that alpha wave activity is associated with heightened levels of mental activity, tranquillity, rest and relaxation? These lead to physical and cognitive changes thatencourage inspiration, creativity, accelerated healing, learning, concentration, focus and ESP to thrive amidst all the demands of living in 2015. The Silva Method dynamic meditation training will help you reach and function at the alpha statein two days. This will comprise 20 hours of relaxation where you experience total physical and mental relaxation – with heightened awareness!And it is in this peaceful state that you apply the techniques for better health, enhanced learning, creativity, productivity and success. During the training you will experience through guided meditations and visual imagery your abilityto take charge of the vast untapped mental potential that already exists within you. You will be amazed and delighted to find that by functioning at the alpha frequency, you can change the way you think, act and feel allowing your inner state to stimulate changes in your outer world and circumstances. 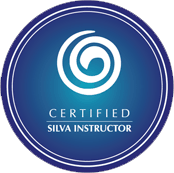 By learning the techniques you learn in the live Silva seminars, acting on theinformation and guidance you will receive and applying them on a consistent basis you will transform your life for the better in everyway. What are you waiting for? send Irene a message at ijoseph@thesilvamethod.co.nz and learn more.